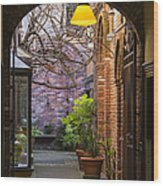 Old Town Courtyard In Victoria British Columbia - from Places To Enjoy series, by award-winning artists Ben and Raisa Gertsberg, aka BRG, who collaborate under the name It's a Beautiful World! 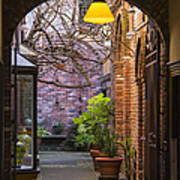 This is a lovely and intimate place in the historic old town of Victoria, on Vancouver Island, Canada. 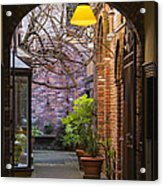 The archway illuminated by bright yellow lamps looks romantic and inviting. 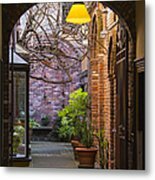 Take a peek into the inner yard to discover some amazing brick masonry, fancy iron gate and the bay window of a hidden antique shop. 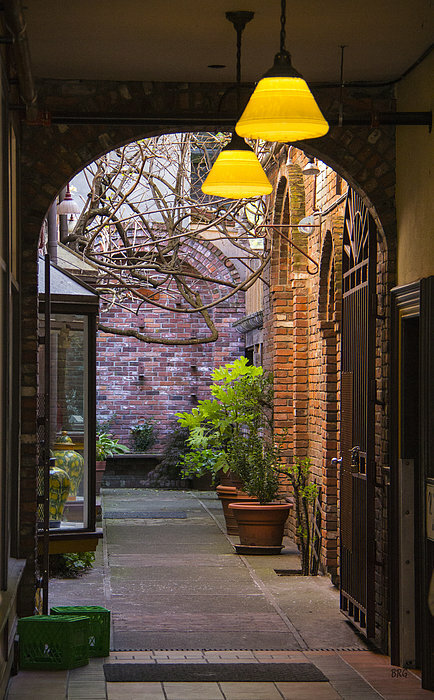 The building's geometric architecture is softened by tangled tree branches and potted green plants. 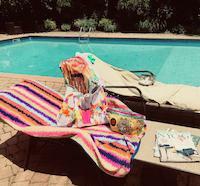 At night time, two green vintage boxes left at the entrance and two decorative ceramic vases in the display window make the empty yard look like an elaborate theater set.